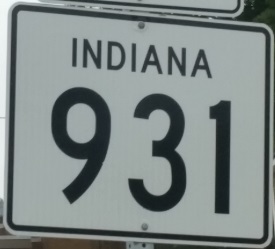 Indiana State Route 931 runs north-south in North-Central Indiana and Central Indiana. It is a two section state highway. Both sections are former alignments of U.S. Rt. 31. Info on IN St Rt 931 is below.